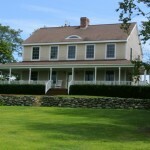 What is on your checklist for your next Vacation Home. Sandy Beach? Open Water Views? Plenty of Bedrooms for Guests? Spacious Area to Entertain? Level Private Lot? Stop Here! As you enter the home you have a full service pub style bar off to the right and a family room to the left. The great room with a fireplace has open water views to Rattlesnake Island adding that perfect touch for a corporate party or family gathering. The kitchen has granite countertops and high end appliances and is perfectly situated to view the lake and guests . After you catch your breath the master bedroom suite is on the first floor, you have a total of 6 bedrooms and 3 bathrooms on just over 1 acre of perfectly manicured grounds. Ground level you have a family room and 2nd kitchen plus outdoor grilling area. The private beach has 125 feet of sugar sand beach and dock. Garage space, 2 car oversized attached garage plus 2 car detached garage. 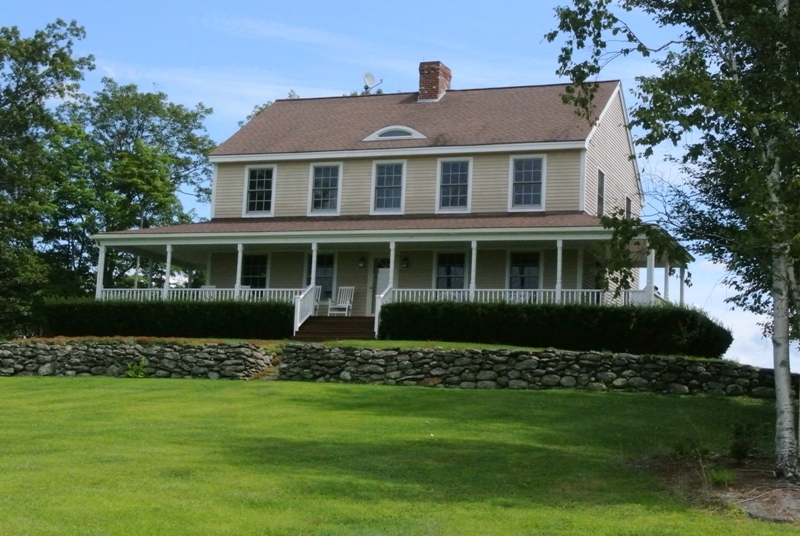 This executive home includes all amenities of Governors Island. Short drive to golf and ski areas. 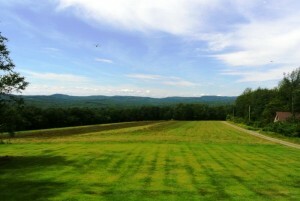 Spectacular Views from this well-appointed, almost new, 2,900 square foot country home on 26 acres, 16 of which are open fields. View Deer, Turkey and an occasional Moose from this idyllic setting. 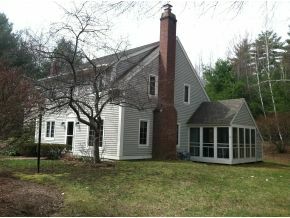 Enjoy sunrises from the back of the home & sunsets from your front wrap around porch. Wonderful mountain views east & west. Gourmet kitchen has granite counter tops with a wood fi replace. The front to back living room has a wonderful fireplace. Wood floors up and down add to the warmth. The second floor features 3 large bedrooms and master with fi replace along with a huge east facing window overlooking mountain and village views. Also included is a year round, 4,500 square foot barn/work shop. DURHAM, N.H. -- Learn how you personally can help improve our marine fisheries by discussing best handling practices when releasing fish, and find out how anglers on other coasts are improving survival of angler-released fish, at an "Angler:Port" meeting set for June 20, 2013, from 6:00 to 8:30 p.m. at the Urban Forestry Center, 45 Elwyn Rd, Portsmouth, N.H. The meeting is being jointly hosted by NOAA Fisheries Service and the New Hampshire Fish and Game Department. At the meeting, you will be able to provide your ideas about how to best handle the fish you intend to release to fisheries managers and scientists. Also, learn about the latest techniques, such as recompression devices, that may improve the survival of the deep-water fish you release. The Port Meeting will demonstrate methods and released devices being use on the west, south Atlantic, and Gulf of Mexico coasts. Some devices will be provided for examination and several interesting videos will be shown on ways to reduce barotrauma effects (the effects on deep water caught fish, that when raised to the surface, have extended gas filled eyes, bladder, and esophagus). These effects will not let them swim back down when released at the surface, and thus cause high release mortality. You'll also hear about the Fish Smart and Best Practices programs, which are angling community programs to understand and enhance fish release survival, promote careful release, and implement best release practices. Directions to the Urban Forestry Center: From I-95, take Exit 5 to the Portsmouth Traffic Circle. From the Circle, take Rte. 1 Bypass south. This will merge into Rte. 1 South. Proceed about 2 miles through a series of five lights. At the next set of lights you should be in the left turn only lane. Turn left onto Elwyn Road. Take the first left turn into the Urban Forestry Center road to the parking lot. 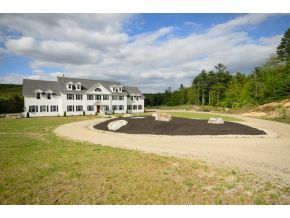 Wolfeboro NH Executive Estate on 53 Acres Talk about potential! This magnificent home is also one of the best values out there. This 13,000 square foot executive home could be use as your family get away, executive retreat or a possible training center for your business. Where else can you get this quality at $169 a square foot to use as private home for a very large family, corporate retreat, horse property etc. etc. Every bedroom is a suite with bath and all are very large. A stunning marble kitchen opening to a dining area and family room with a fireplace is welcoming with views to the mountain out back. The colossal foyer makes a real statement when you first enter this home. A caretaker's apt or in-law is attached and has its own 2 car garage. There are 3 laundry rooms and the house is about 120' long. 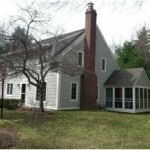 Sited on 53 acres, it is bounded by a brook that goes into 3000 acre Lake Wentworth. If you are looking for privacy and a large estate property with this kind of value you can't find a better one than this. Golf - Hiking - Skiing - Shopping - Restaurants - Museums - Theater are all close by. Manchester Regional Airport is 45 minutes away and you can be in Boston in less than 1.5 hours. WAKEFIELD, N.H. - A new, 122-acre Wildlife Management Area on Marsh Road in Wakefield has been conserved through the collaborative work of N.H. Fish and Game, Moose Mountains Regional Greenways, the Town of Wakefield Conservation Commission and the Society for the Protection of N.H. Forests. N.H. Fish and Game acquired the property to protect its outstanding wildlife and water resources, and to provide the public with recreational opportunities such as hunting, fishing, hiking and nature study. Conserving the property brings protection to more than a mile of shoreline on the Branch River and Union Meadows. "The Branch River is home to the bridle shiner, a state threatened species, and the lower stretch of the river along the property is great waterfowl habitat, as is all of Union Meadows," said Rich Cook, a N.H. Fish and Game land agent. "This property has been identified in the state's Wildlife Action Plan as the highest ranked habitat in the State by ecological condition." Town of Wakefield Conservation Commissioners Dave Mankus and Peter Kasprzyk worked with the landowner, who expressed an interest in conserving the property and offered to sell it at below market value. "Folks on the Wakefield Conservation Commission worked very hard to make this project happen," Mankus said. "We negotiated with the landowner and lined up surveys and appraisals, wrote grants, and did much of the work it takes to complete a project of this size. We are very happy that it is now over the finish line." Funds for the purchase came from a variety of sources. Moose Mountains Regional Greenways helped write grants to raise funds for the purchase of the property and also contributed more than $18,000 from its own conservation fund to cover expenses for surveys, appraisals and legal work. 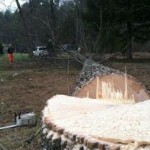 Other funders were N.H. Fish and Game, which allocated $100,000 of federal Wildlife Restoration funds to the purchase; the Land and Community Heritage Investment Program (LCHIP), which awarded a $50,000 grant for the project; and the Piscataqua Region Estuaries Partnership (PREP), which provided $4,000. Designating the property a Wildlife Management Area permanently protects it from future development. 'When you walk in off the Marsh Road entrance you are very quickly in a different world, high on a natural gravel berm deposited by the glaciers, with the Branch River rushing by below. 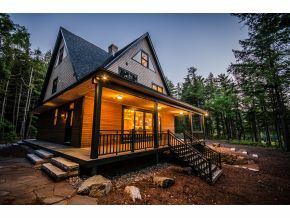 It is a truly special property and now it will remain available for the public to enjoy forever," said Keith Fletcher, Director of Land Conservation for Moose Mountains Regional Greenways. 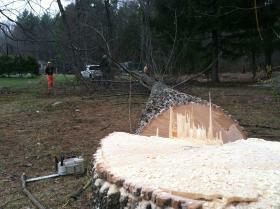 The Society for the Protection of New Hampshire Forests acted on behalf of Fish and Game to acquire the property. But Forest Society land protection land specialist Mike Speltz, who brought the deal to completion, credited the landowners for making the project happen. "In the end it was the generosity of Ginny Harding and her friend Flora Belle Weber, and their love for this land, that made this possible," Speltz said. 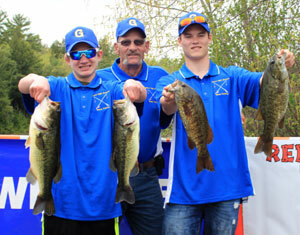 CONCORD, N.H. -- An exciting new high school sports competition - a student bass fishing tournament - took place in New Hampshire yesterday, and from the looks of pride on the kids' faces, the day was a big success. This year, 136 students from 44 New Hampshire schools took part. The New Hampshire Interscholastic Athletic Association (NHIAA) conducted the event, with assistance from the N.H. Fish and Game Department, on May 9, 2013, at Lee's Mills in Moultonborough, NH on Lake Winnipesaukee. This year's event was a trial tournament (therefore limited in scope), as the NHIAA and schools prepare for full implementation during the 2013-2014 academic year. Individual medals were awarded for the largest total catch (four fish maximum) and for the largest largemouth and largest smallmouth bass caught. The event included a strong educational component. Teams had adult mentors who guided them through the process of learning about New Hampshire's aquatic resources and the responsibility that goes along with being anglers. "We are excited that scholastic sports and the angling community came together to create this opportunity for students to set the foundation for a lifelong outdoor activity," said Karina Walsh, who coordinates the New Hampshire Fish and Game Department's Let's Go Fishing Program. Walsh and N.H. Fish and Game Fisheries Biologist Gabe Gries served on the NHIAA Bass Fishing Committee and provided logistical and volunteer support for this event. Additional information about the tournament can be found on the NHIAA website at nhiaa.org. The New Hampshire Interscholastic Athletic Association is a private not for profit organization that has served as the leader of high school athletics for its member schools in New Hampshire since 1947. 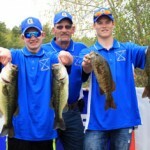 The student bass fishing tournament is in keeping with the NHIAA goals of adding sports that will have lifelong appeal to student athletes and providing more sports that are coed and inclusive to all populations within our schools.